Eight-division Champ Manny Pacquiao, after a unanimous win over Adrien Broner to keep his WBA welterweight crown, called out Floyd Mayweather for a re-match. 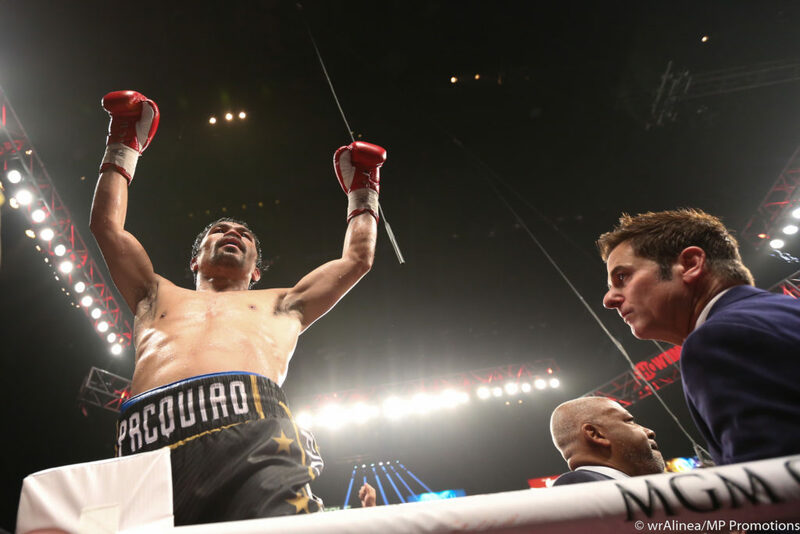 Pacquiao told the media that he’s ready for a repeat of the 2015 showdown with boxing’s biggest star Mayweather who outpointed him in the controversial match. “Tell (Floyd Mayweather) to come back to the ring and we will fight. 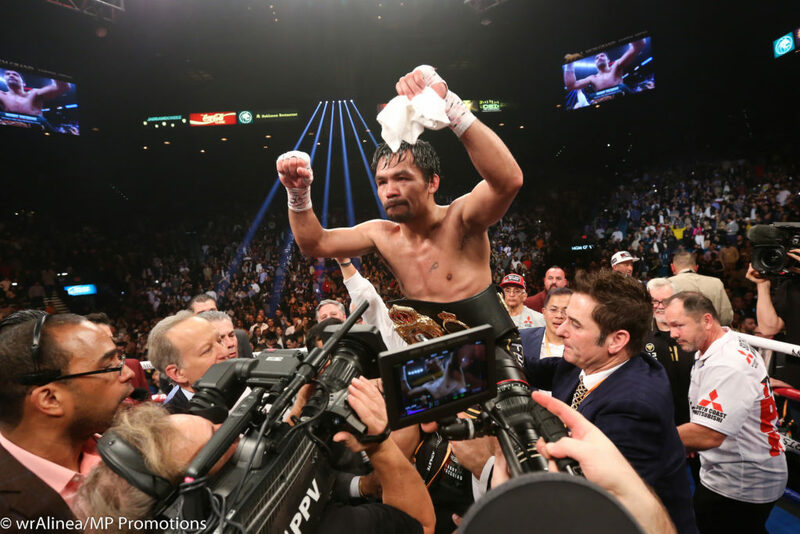 I’m willing to fight again if he’s willing to come back to boxing,” said Pacquiao. At ringside, Mayweather was shown ignoring Pacquiao’s dare. 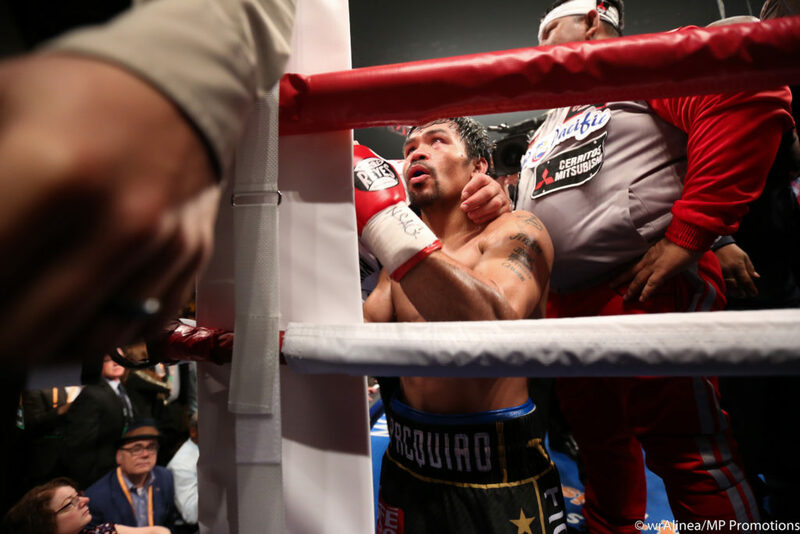 In the Pacquiao-Broner bout, the Filipino champ could not deliver the knockout his fans had hoped for but he posted a lopsided win against the 29-year-old Broner. “I proved (it) in my last fight against Matthysse and now I proved it again. 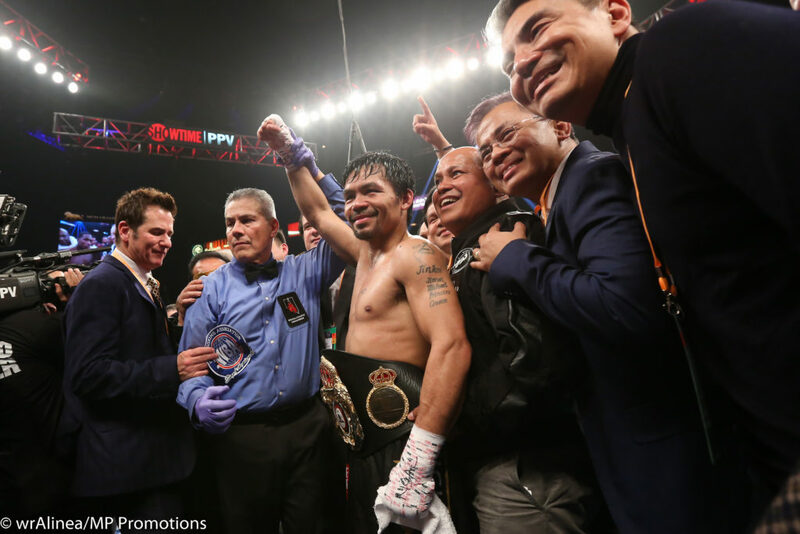 The Manny Pacquiao journey will still continue,” said Pacquiao while his supporters chanted his name from their seats. 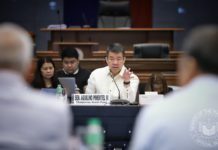 It was a unanimous decision for Pacquiao, who defended the WBA welterweight crown he won in July last year by way of a seventh-round TKO of Argentine Lucas Matthysse in Kuala Lumpur. 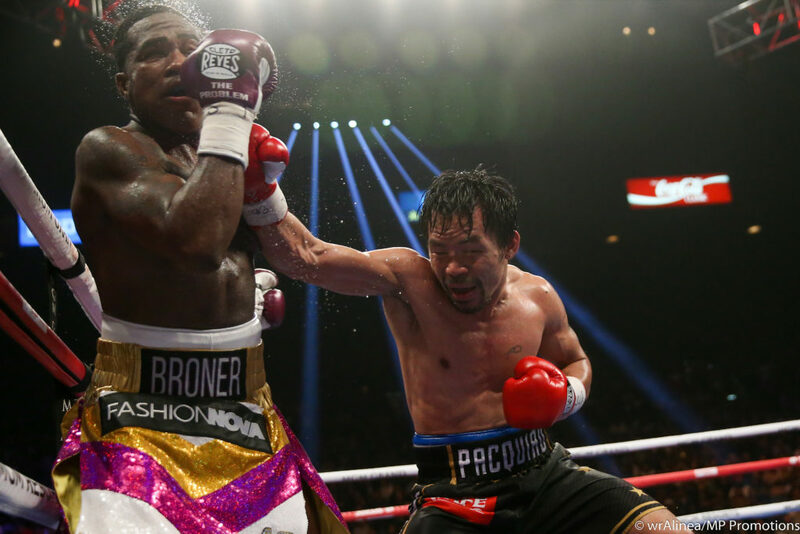 Pacquiao felt he hurt Broner a number of times and wanted to go for the kill. But he was advised to be careful of Broner’s counter-punches. “Although I wanted to be more aggressive, my camp told me not to be careless and to just counter him and wait for opportunities. My trainer said, ‘Don’t be careless. 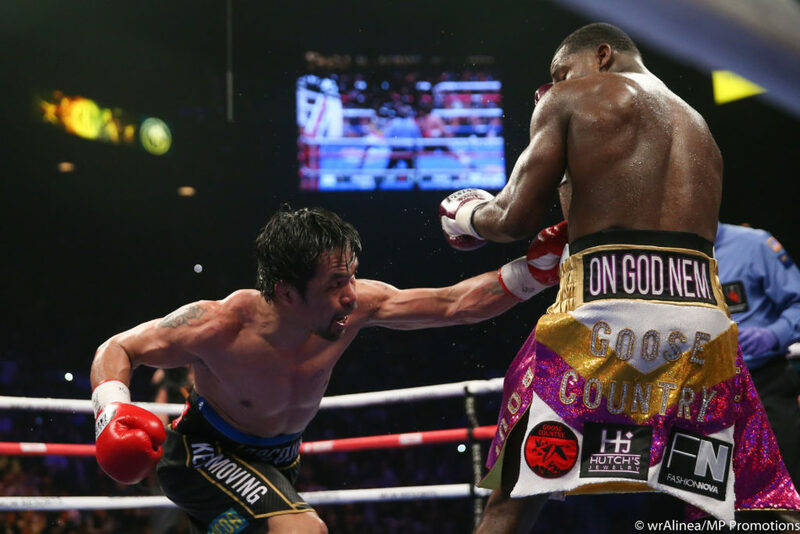 Wait for him, counter,’ and that’s what I did,” said Pacquiao. 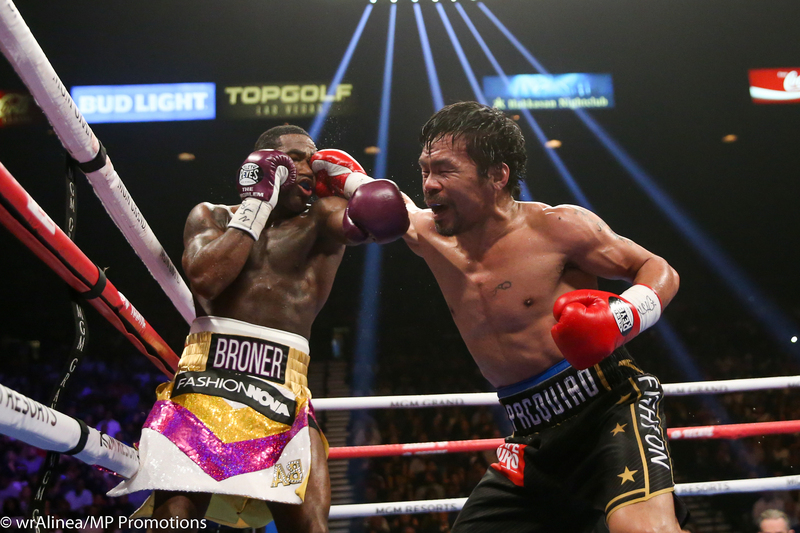 Pacquiao almost had Broner in the ninth round. “There was a round that I wanted to finish him. 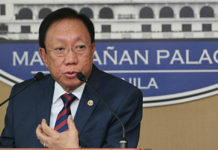 But Buboy said, ‘Be aggressive but don’t be careless,’” added Pacquiao. He seemed happy with the victory, his 61st against seven defeats and two draws. He was denied a 40th knockout just over a month after his 40th birthday. Broner dropped to 33-4-1. 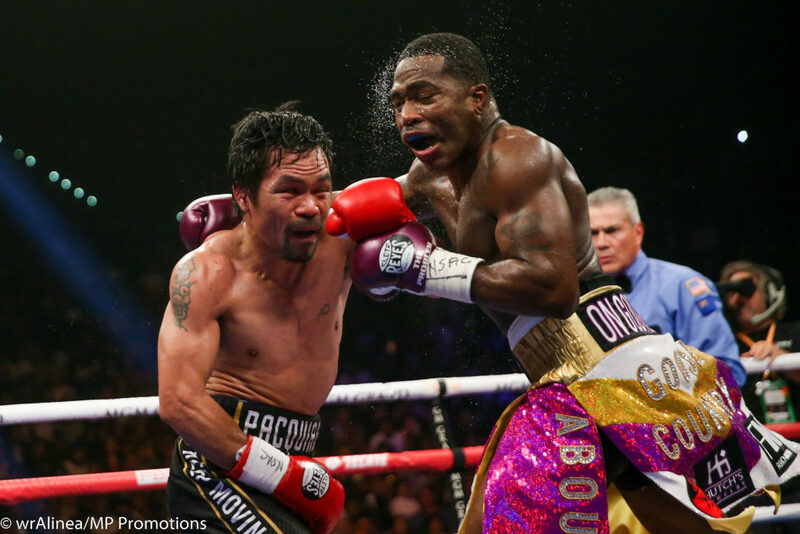 The Compubox used during the fight indicated that Pacquiao threw a total of 568 punches and landed 112 while Broner, who was often flat on his feet, threw a total of 295 and landed only 50. At the post-fight press conference, Pacquiao wore dark sunglasses and sneezed a lot saying he climbed the ring with a cold as if an excuse for not giving an impressive performance against Broner. When he lost to Mayweather in 2015, Pacquiao said he had a bad left shoulder. “I got the cold from the weather here. I went to the ring with the cold but I was still focused and did my best,” he said. 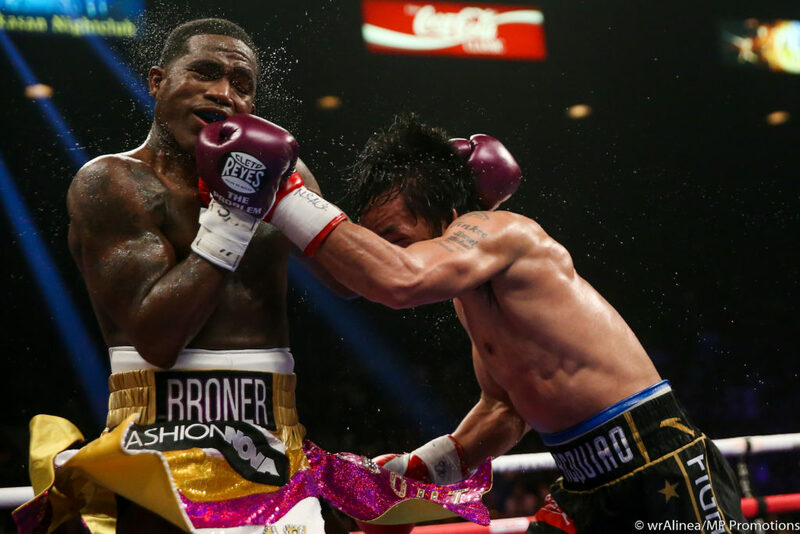 At the post-fight, Broner grumbled that he beat Pacquiao. He also did so during the fight, when he moved around like he was disappointed with the result. “I beat him. Everybody out there knows I beat him. I controlled the fight. (Pacquiao) was missing. I hit him clean more times. I beat him,” said Broner over the microphone. “You know I beat that boy. They are just trying to get on that money fight with Pacquiao and Floyd. I beat him. That’s smart boxing,” Broner added. 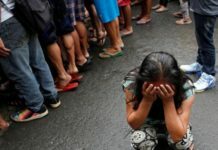 Next articleIs the Philippines the next Djibouti?